JAI Big Shot Blog Hop! Hi everyone and welcome to our first card challenge for 2013! We have a treat for you with a Big Shot Blog Hop for most of the JAI team. You may have come from Mae Collins’ awesome angry birds or from the Just Add Ink blog but if you get lost on the way ..check below to see the list of the blog hop order. Ive been scrapbooking with this die lately and here is what Ive come up with. This LO is a sneak peek of lots of new product coming in our Autumn Seasonal Catalogue out on the first of February. For this large doily I actually dyed a Whisper White doily to get that intense colour. This and the below mini album will be available on my classroom blog in February. 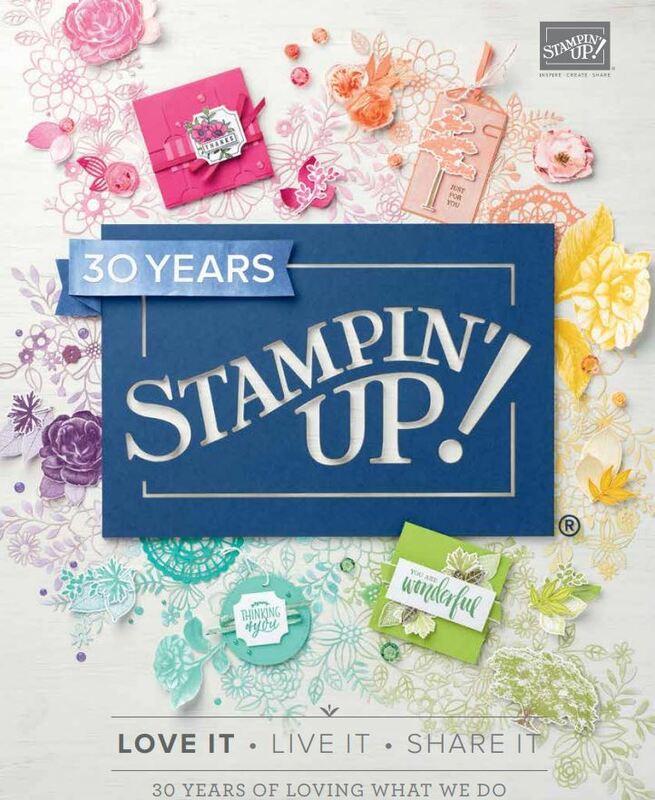 You may have already seen a sneak peek of my mini album as its for my mini album scrapbooking club. I embossed the doilies for more texture. Of course Ive made a few cards/embellishments for boxes with these doily dies too so these items get the big tick in my book as they are suitable for both scrapbooking and card making and 3D work. 1. Use a coffee filter as a shim under the dies ..seems to give an extra ‘give’ to the sandwich. Ive tried it with a plastic shim, waxed paper and cardstock and this has worked for me ..Each Big shot will be different though as they are all calibrated slightly different. 2. Use a stylus to get out the bits leftover in the die. Its important to get all these remnants out as it can affect the die the next time you cut. I use a circular motion with the stylus to encourage the bits to come out. This is better than using a needle or your scissors..try it! 3. To get all of the cut out bits to pop out, I use my stylus again on the diecut and on my stamping pierce mat. The extra ‘give’ in the pierce mat seems to make it easier than on a hard surface. To see a video of these tips you can go over here to my classroom blog to watch it. When you get back you can continue the journey on to the next Design Team Member ..which is Nikki Spencer. Here is our Big Shot Blog Hop order if you get lost. Great ideas for the doilies. Fabulous projects! THANKS for the tips! 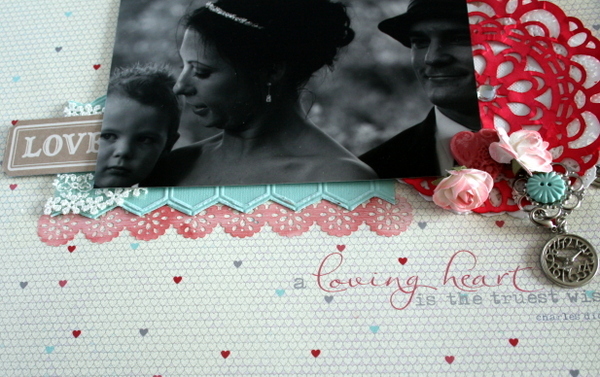 I absolutely LOVE your page Delys – it really is gorgeous! Your other projects are such standouts too! The red doily over the white one looks stunning. I don’t have this die but have read somewhere that if you use a piece of waxed paper with the paper you are cutting it solves the problem. Oh, wow – BEAUTIFUL, Delys. Your layout, with all the yummy new goodies, is divine. 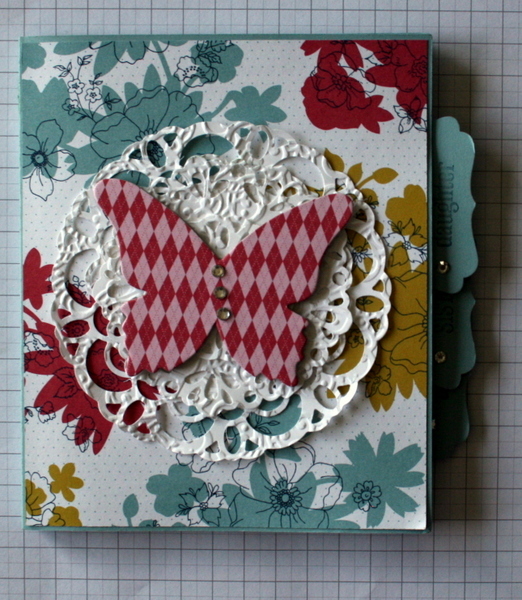 I love all your projects using the sweet doily die. Beautiful layout. Lots of gorgeousness here! 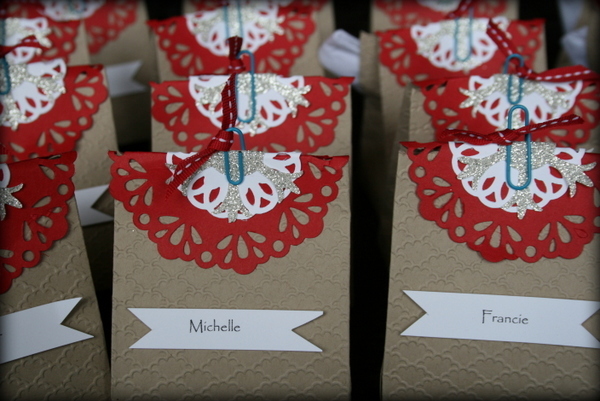 great ideas for the doily die – will use some of them on the next birthday party. i just love this layout!